Now it feels like Roseanne. 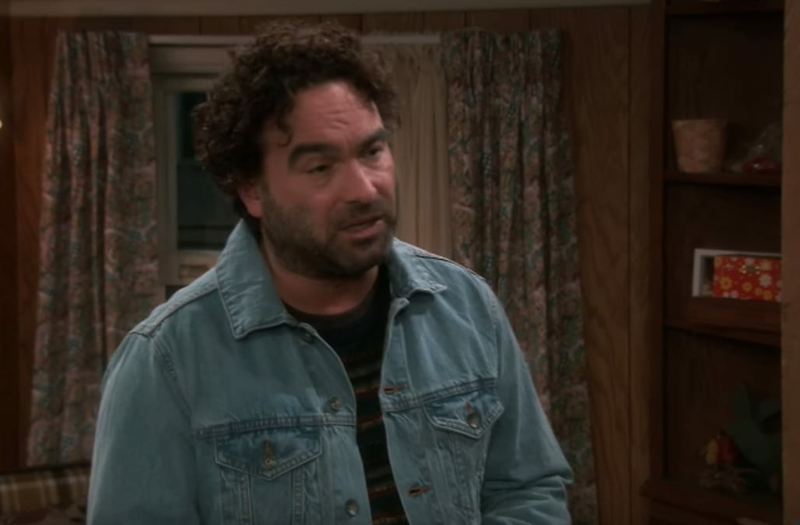 Johnny Galecki’s David returned during the Tuesday, April 17, episode to celebrate Harris’ (EmmaKenney) birthday … but didn’t actually get to. First Darlene (Sara Gilbert) revealed that David had been traveling the world and working with underprivileged children for the past few years, which is why he was MIA. He also had left because of how much he and Darlene were fighting – something Dan (John Goodman) was not OK with, since David had abandoned his kids. Darlene was shocked when David crawled into her window the day before Harris’ birthday party to tell her that he signed a lease and will be moving back to Lanford to be closer to his family – and that he was seeing a new girl named Blue. Darlene first criticized his “crayon” of a girlfriend before kissing him. This led to them sleeping together, once again, opening the door back up to their past. However, that door was quickly closed again when her family reminded her that an on-again off-again relationship may work when you’re a kid, but when you have kids, it’s not the same and it’s not fair to them. So, when David showed up to the house later that day, she let him know through tears that they couldn’t be together. Together, they vowed to stay close for the kids. Dan then chimed in, telling David that he couldn’t see the kids until he moved back to town permanently in two weeks. When Dan asked if he had any questions, David answered, “No, sir.” Some things never change.